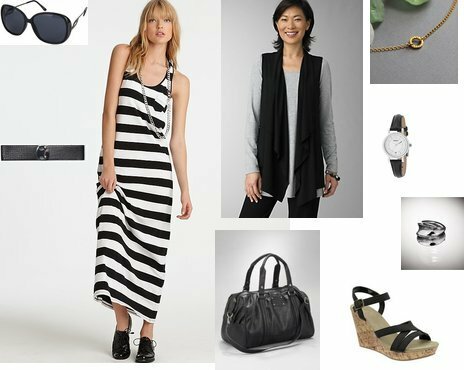 If you love her outfit as well, I put together a similar look using items from New York & Co, Etsy (click HERE for the gold necklace), and Old Navy. Click on any of the items (except the necklace) for more information or to purchase! Love it but they are out of the black and white in a size small.